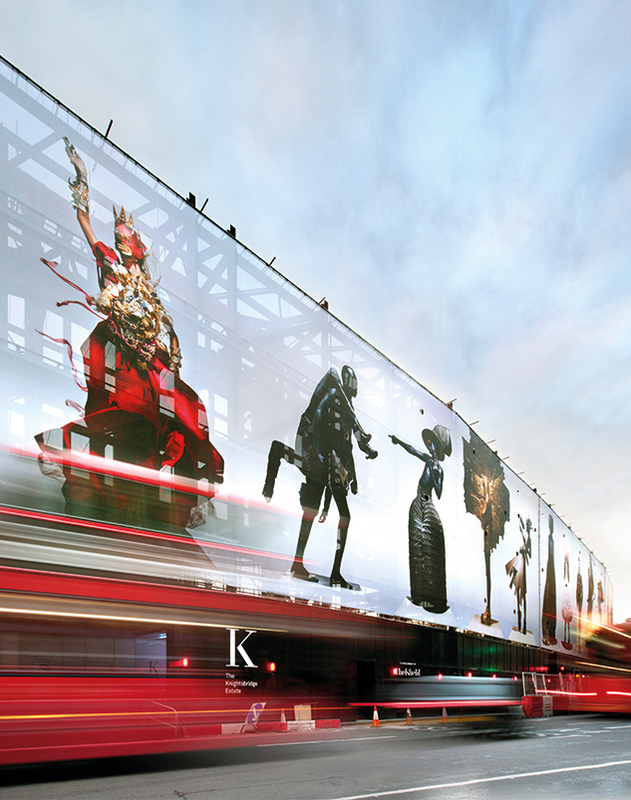 Acquired in 2010 with The Olayan Group, the objective for The Knightsbridge Estate is the repositioning of the tenant-mix towards premium and luxury retail. Chelsfield created a wrap to surround the new landmark development during construction. 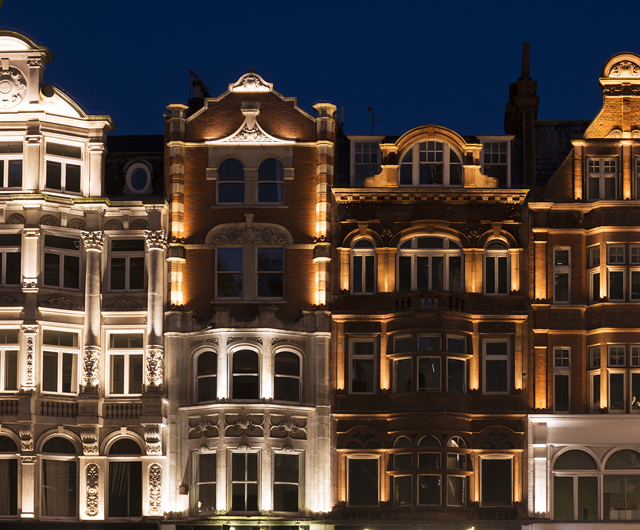 The idea was to generate awareness for The Knightsbridge Estate, appeal to high-end retailers and enhance the area during construction. Chelsfield and PR agency Camron PR worked very closely to come up with the concept and identified world renowned fashion photographer, Nick Knight, as the ideal partner. 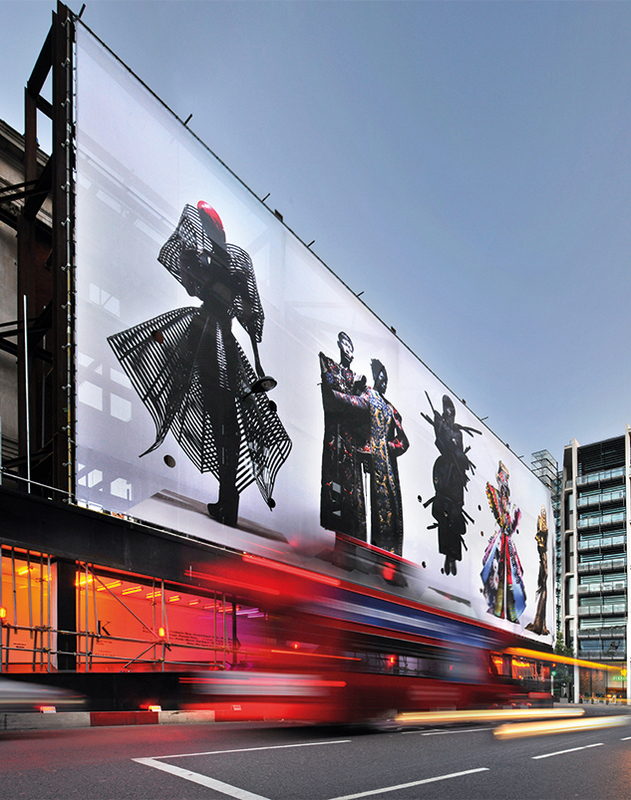 This new public artwork, The Knights of Knightsbridge, is a celebration of art and fashion made up of 18 striking fashion images featuring highly-structured ‘armour-like’ creations from luxury fashion designers including Gareth Pugh, Rick Owens, Iris Van Herpen, Yohji Yamamoto, Moncler, Maison Margiela and pieces from the archive of couture house Dior, by John Galliano. 120 meters long and 11 meters high, it is estimated that over 30,000 visitors will pass by this large-scale panoramic installation on a daily basis. The Knights of Knightsbridge will be in place until summer 2019. 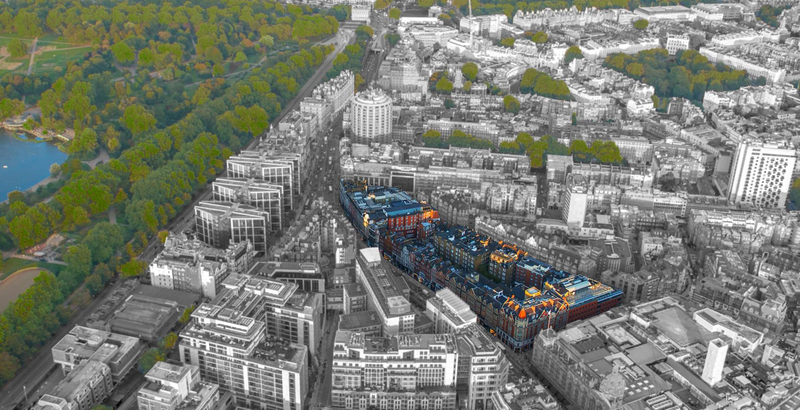 The transformation of The Estate continues with the current redevelopment of the northern end of The Estate c.340,000 sqft which fronts Brompton Road and Sloane Street. 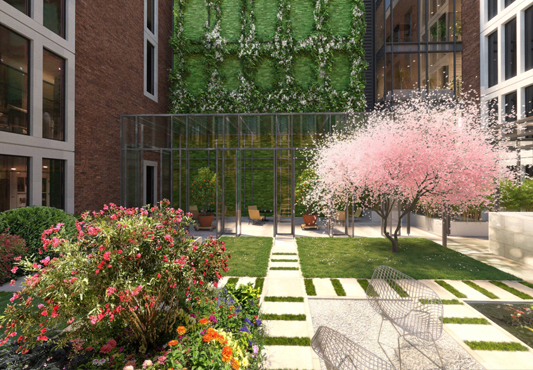 It will deliver a mix of new world-class retail accommodation, 66,000 sqft of Grade A offices, 35 rental apartments around an internal courtyard garden, and a rooftop restaurant. 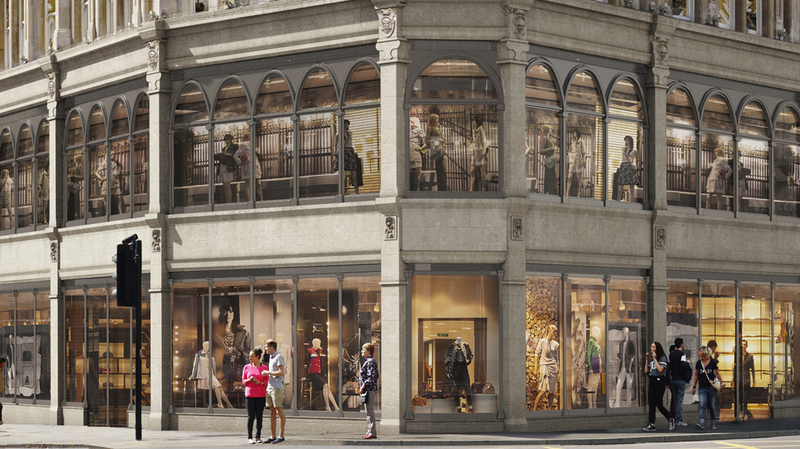 Six spectacular flagship stores are designed to front Brompton Road and Sloane Street. 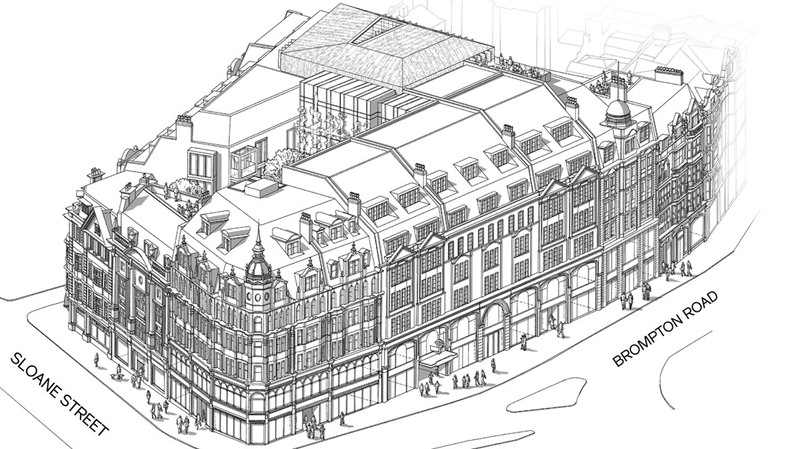 Three will front onto Sloane Street and three onto Brompton Road. Five of the units will be able to trade across three floors whilst they all will have access to off-street servicing from a secure service yard. The façade will be restored to reflect the original architectural features of the buildings, built at the turn of the 20th Century. 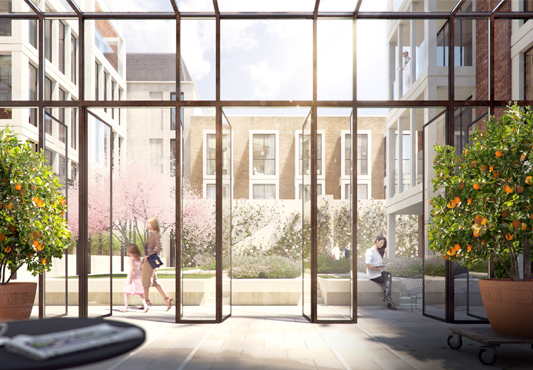 35 beautiful apartments, arranged around an attractive open courtyard garden designed by internationally acclaimed landscape architects Gross Max. The apartments will only be available for private rent, ensuring that they are occupied and contribute to the local community. As part of the redevelopment, Chelsfield will make significant improvements to the existing Knightsbridge Underground station, used by millions of passengers each year. From 2020, Knightsbridge station platforms will be accessible by lift making travel easier for all, including the elderly and the disabled. Access to the two 17-person lifts will be located on Hooper’s Court. This move supports the Mayor of London’s pledge to make London’s transport network more accessible and TfL’s commitment to make more than 30 additional Tube stations step-free by 2021/2022. 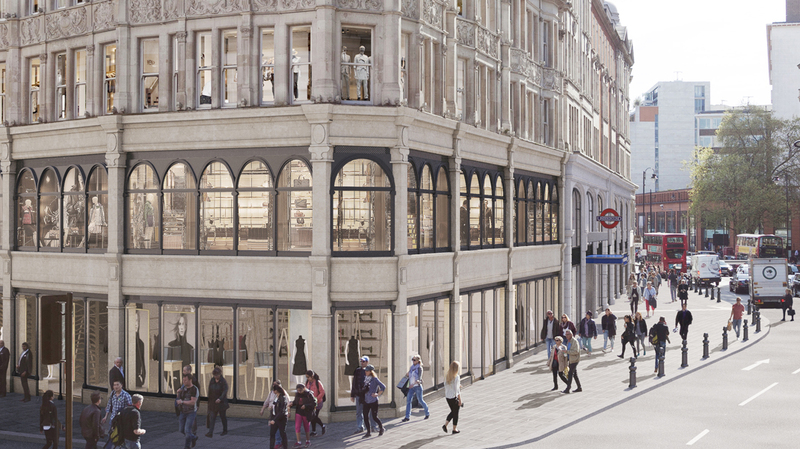 In addition, Chelsfield will be providing equipment to cool the platforms of Knightsbridge Underground station, a new modern entrance at 15 Brompton Road, and a widened pavement on Brompton Road and Sloane Street, helping to ease pedestrian congestion and improving the streetscape along the retail frontages. The new station entrance will open to customers in 2020.